We are firm believers that pattern mixing isn’t just for the wardrobe. We love the idea of introducing this trend into your home décor. Patterns and colour schemes in tiling is the perfect opportunity to create this sense of character in any room. A simple pop of colour, addition of pattern and sense of symmetry is a sure way to complement the design scheme of both interior and exterior spaces in the home. With a vast array of tiles to choose from at our stores, it takes little imagination and creativity to unleash your inner design mind. With the assistance of our tips and a few Pinterest tags that grab your attention, you are set to create your unique look in your home. Have a look at our tips below to see if this trend will work in your home. Whether its mixing tiles in your flooring, creating a backsplash that soon becomes a focal point in your kitchen or having a trendy touch in your lounge. Colours schemes are vital in any home. From tiling and furniture to accessories, the colours you choose all play an integral part. The shell of any room will always create a certain feeling of belonging in a home if the correct colours are chosen and matched accordingly. Create a chic design to your home by incorporating warm neutral colours. 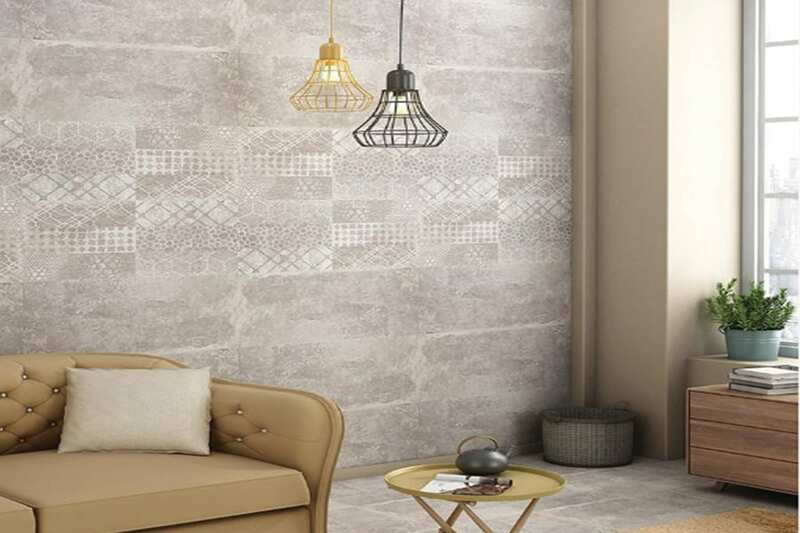 Be adventurous and mix things up with décor tiles that bring emphasis to the room in a subtle way. With our wide range of décor tiles, there are various patterns and textures to play with that add a whole new dimension to the design. Tile lovers such as ourselves would agree that the more tile the better. Incorporating tiles of various sizes into a space brings a unique sense of design into the home. We are quick to match colours and textures, but are hesitant to play with tiles of different sizes. This changes the pattern entirely as the tile shape is uniform, but the overall look is unique in its form. Your options are endless with these designs and the layout can be personalised, adding your touch of character. We love this idea of including your personal design touch in your home. Your options are endless with tiles these days. There is no right or wrong tile size for flooring or wall effects with modern trends and tile designs. Either fill your space with large format tiles or be playful with patterns on the walls. Mix it up and see how you can transform the mundane spaces in your home. Incorporate the new look you want to include in your home in bite size chunks. We advise that you don’t change the whole look of your house at once. Settle on a room of your choice to play with. This allows you to see that you are happy with the overall look after completion. You may realise after finishing a project that there are aspects you would change, altering rooms over time will allow for you to acknowledge the changes you favour. We emphasise that as easy as it may be to get carried away with mixing tiles and colours, be sure not to colour block. Areas in your home can soon become too busy or distracting if colours clash with overall design. If you have an existing wallpaper or colour and wish to tile the flooring for example, be sure to choose colours that complement one another. As mentioned in tip 1, match colours of similar shades. Be sure to choose a grout that suits the chosen tile so as to create the desired overall effect. Small things like this need to be considered at all times as these have a large effect in the colour scheme. Be sure to let us know how these tips helped with your home make-over.